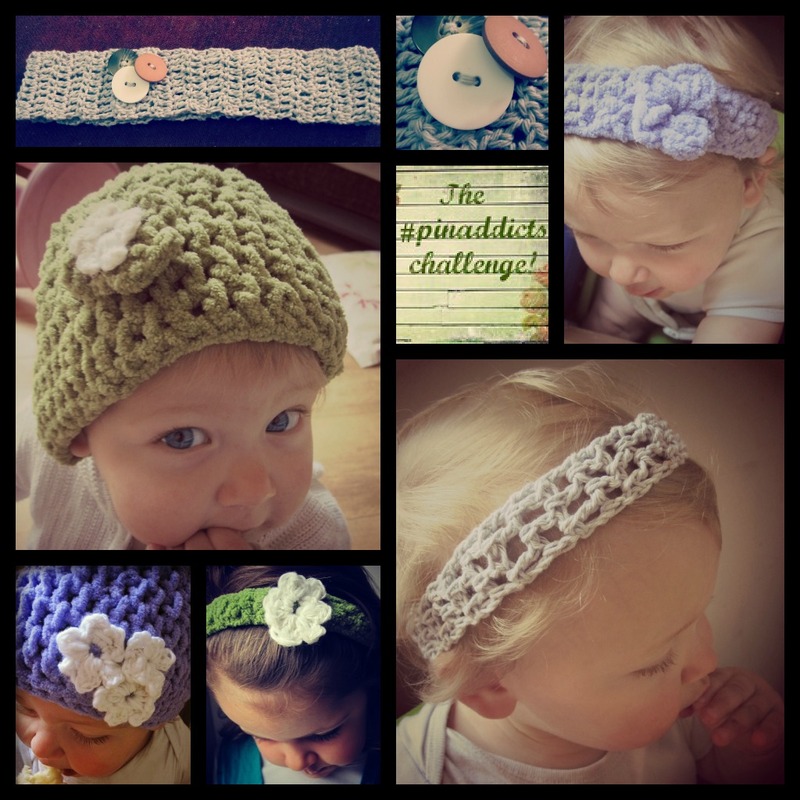 It’s my turn to host the challenge this month and I am so looking forward to seeing what everyone has made! This month I decided to attempt the crochet thing. My mom inspired me when she was here on her last visit when she made the kids a blanket in a week. I found a U-tube video to learn the basics and off I went! I have loads of projects on my Pinterest Pinaddicts Page but I decided to just do my own thing taking inspiration from it! I have to say I am chuffed to bits with them. Am addicted. It’s so easy and quick! And they make super birthday gifts on the cheaper side of the budget too! The girls are loving the headbands for summer and I’m loving experimenting with different stiches and embellishments! This month we have a prize provided by Abakhan – seriously head on over to see their lovely stuff – they have something for everyone – fabric to crafty stuff to crochet stuff – all at great prices! This is one £50 voucher I really want to win!! Don’t worry though it’s all done randomly and I don’t need to make any difficult decisions! 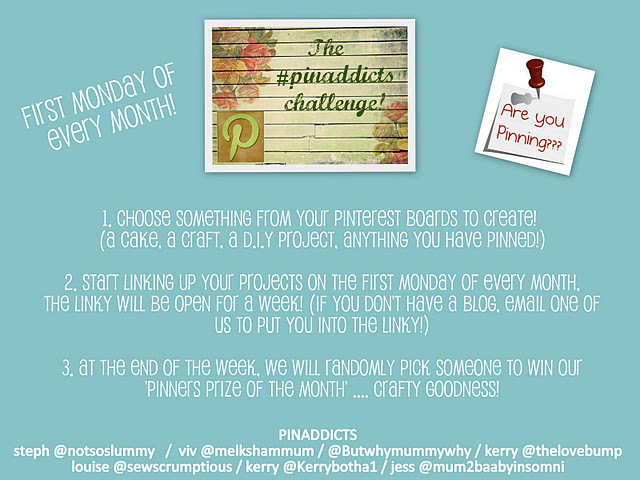 The Pinaddicts challenge is on! It’s here, the excitment is emmense for all of the Pinaddicts team, especially our fearless leader who can’t stop saying Whoop and Fabulous! For this months #pinaddicts challenge (read more about it here) I decided to have a stab at making some creative storage. I have distinct lack of storage in my kitchen. And I have a distict dislike of open packets and jars lying open in the food cupboard. I saw the below picture and others (see here) on Pinterest and decided to make an attempt. I decided to use some old discarded jars and marginally modify them so they don’t look like coffee jars and bottles. A couple of coats of pain, some sellotape to mark off the line for the blue, some printing of the words and a mix of glue and water used to stick it on seamlessly with a paint brush was all it took! And now it’s no more nasty boxes! It’s not a big thing but you know what anything that makes life that little easier and more organised is a good thing in my book! Even if it is an old disgarded coffee container! I then decided to turn my attention to the hallway, we still don’t have key holder thingymabob nearly 4 years down the line and hubs wasn’t a fan of just simple hooks. And so it was decided to do something a little different! 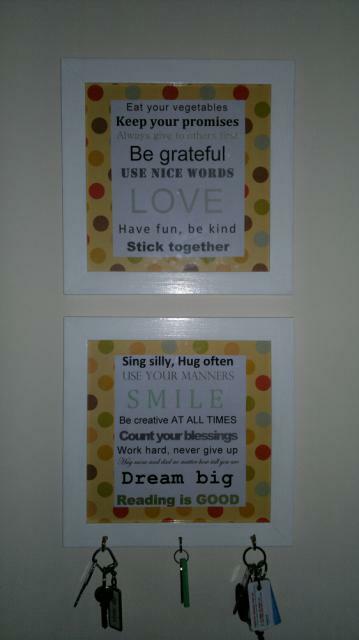 See my inspiration below, and more on my Pinaddicts page on Pinterest. I popped down to the charity shop in my lunch hour and managed to get 2 new frames for under a fiver. Some paint, a little printing and cutting and screwing in of the hooks and they were ready for installation! Hubby put the nails up and voila a handy key hanger! I’m planning of someday putting some actual photo’s but that will be a while! Now go find some more super crafty pinners over at Life as I know it.